Want to go out and live a unique experience in Barcelona? 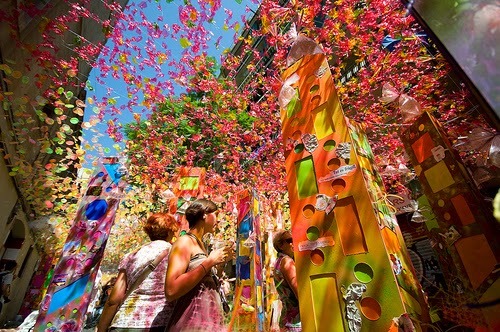 Today starts the "Fiestas de Gracia"
The biggest party in Gracia is relatively new, as is the neighborhood itself. It started as a way to pay homage to the patron Saint of the neighborhood, Saint Isidro, on the 15th of May, but it changed so as to be a party around the 15th of August, a festive day in all the country. The earliest date of this party, according to the “Diario de Barcelona”, is said to be the 19th of August 1827, although some historians argue that it is older, because in 1817 as a result of the destruction of the Franciscan convent in the Jesus neighborhood, there was a celebration in “Cab Trilla” because of the Mother of God in August. 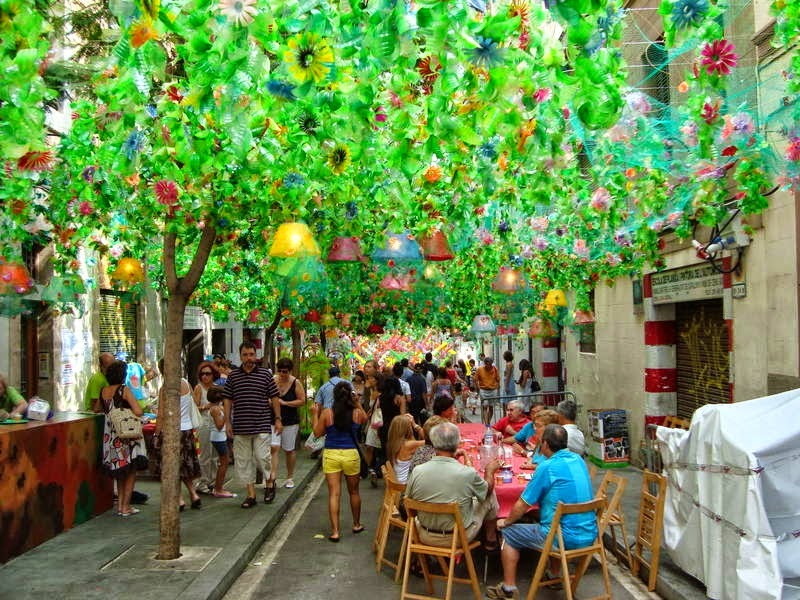 It was at the end of 1890 when decorating the streets became a tradition and during the forties the party evolved and there was a great citizen participation, but from the sixties this type of party declined to the point at which only 4 or 5 streets were decorated by the end of the seventies. Around that time, the recently-legalised neighbors associations and the musicians collectives organised concerts and free dances in the squares, which had a reinvigorating effect and by now the parties have completely recovered from their low-point, and they have really strengthened, not only in the neighborhood but also in the whole city of Barcelona. Visit the website to see the programme of the week!